You meet so many people that just settle. DirecTV even has a commercial out poking fun at settlers. People that become complacent because of their surroundings. Your environment has nothing to do with who you are or what you can accomplish. Our whole lives are between our ears. We are creators, God made us that way. Think of it in these terms, a large ship cannot sink from the water that surrounds her. It can only sink when that water gets inside of her. Your circumstances do not matter until you allow your circumstances inside your thoughts. Don’t give up your dreams. I enjoy playing poker. Any good poker player knows the hand of cards you are dealt doesn’t have as much to do with winning the hand as how you play the cards. The way you think of how to play the hand and the skills you have developed reading people and how you carry your own body language has a lot more to do with winning than the hand of cards you were dealt. Many a poker player has folded early out of fear to lesser hands. You cannot allow circumstances to drive you to give up on your dreams. Our thoughts are so powerful. They control everything. Every building you walk into, every tool you use, every song you hear and every car you drive started out as a thought by someone. The difference is someone never gave up on their dream to bring their thought to reality. People are so afraid of what can go wrong, that they lose sight of what could go right. Stop giving up your dreams. But what about the pain that pursuing a dream can cause? The heartache of failure. Yes, you will fail, many times. The embarrassment of ridicule by those too afraid to pursue their dreams. The constant advice of those “loved ones” that never accomplished anything in their lives urging you to quit wasting your time and give up. 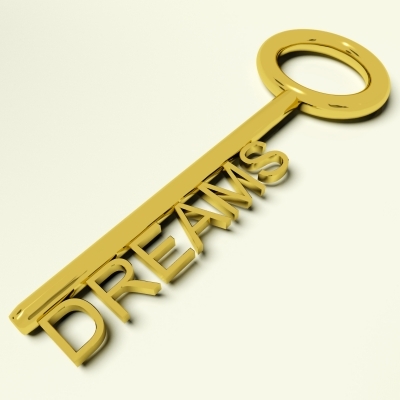 Living with the lack of income your dream has not produced yet. Yes pursuing your dream will be painful temporarily. However, the pain of regret for not pursuing your dream will last your entire life. If either way there will be pain, I would rather live with the short term temporary pain of working my dream than a lifetime pain of regret, how about you? Don’t give up your dreams, because they only belong to you. Tim Wilhoit is owner/principal of Your Friend 4 Life Insurance Agency in Nashville, TN. He is a family man, father of 3, grandfather of 1, entrepreneur, insurance agent, life insurance broker, salesman, sales trainer, recruiter, public speaker, blogger, author and team leader with over 28 years of experience in sales and marketing in the insurance and beverage industries. WOW! Tim this is a very inspirational article. Thank you for my reboot! Kyle, I always appreciate your kind words.